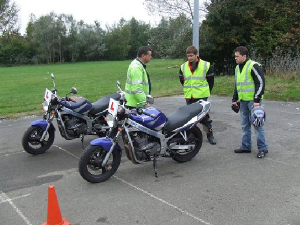 As well as CBT for moped and 125cc bikes, Arro Rider Training provides courses for all type of full Motorcycle License. Our continued excellent standard of training has ensured an impressively high first time pass rate. Our course are structured so that you are completely prepared for the test, but more importantly for a lifetime of safe motorcycling. Arro Rider Training are proud to have a huge Module 1 Motorcycle Test practice site. Our site allows all of our customers to experience the module 1 test layout at full scale. For more details on the practical motorcycle test visit the .gov website here. Motorcycle Licensing can get a little confusing, use the app below to find the category which suits you. If you're still unsure we are on-hand Monday to Saturday 9-5 to answer your questions. Click on the arrows below to scroll through the license categories. Direct Access means you have an unrestricted motorcycle license. In order to gain this license you must pass a motorcycle theory test, have a valid CBT, then take your practical motorcycle test on at least a 600cc machine. 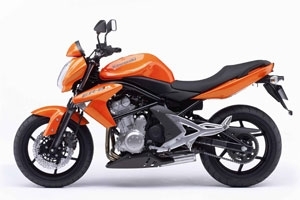 We use the Kawasaki er-6n due it's lightweight yet powerful nature. You must be 24 to take a direct access test unless you have held an A2 license for 2 years. Depending on the length of your training course, you may begin on 125cc machine and progress onto a 500cc, before moving up to a 650cc bike for the last 3 days of your course. This license is for middleweight bikes. The A2 category of license allows you ride motorcycles up to a maximum of 46.6bhp. In order to obtain this license you need only take your test on a 395cc+ machine. You only need to be 19 to take an A2 test. If you take your A2 test at 19 it means that you may take your A (direct access test) at 21, so you woill mot have to wait until 24. 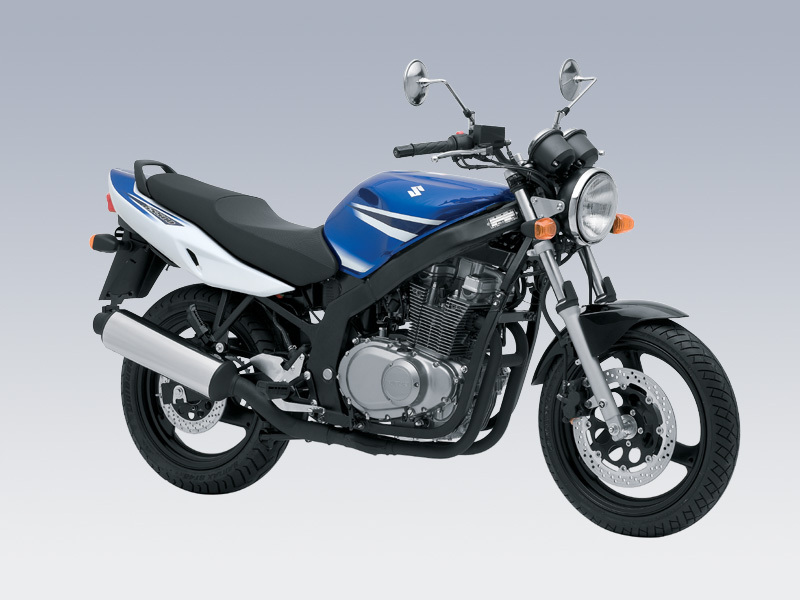 We use our Suzuki GS500 bikes for this test, they are ideal for this test category as they are exactly 46.6bhp so offer the most power without moving into the next license category. 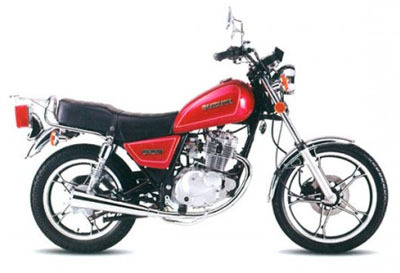 You may begin your course on a 125cc machine, depending on your level of experience. The final 4 days of your course will take place on the 500. The A1 License is available to anybody aged 17 or over. In order to gain this license you have to pass a motorcycle theory test, you must have a CBT, and then take the practical motorcycle test on a 125cc machine. Although you won't be allowed to ride anything bigger than a 125cc bike with this license, it will allow you to take passengers, use the motorway, and remove those pesky L-plates. This license category is popular with light bike riders who have no intention of riding a bigger motorcycle. The entire course and test must be taken on a 125cc bike. The AM License alllows you to ride mopeds with full entitlement. 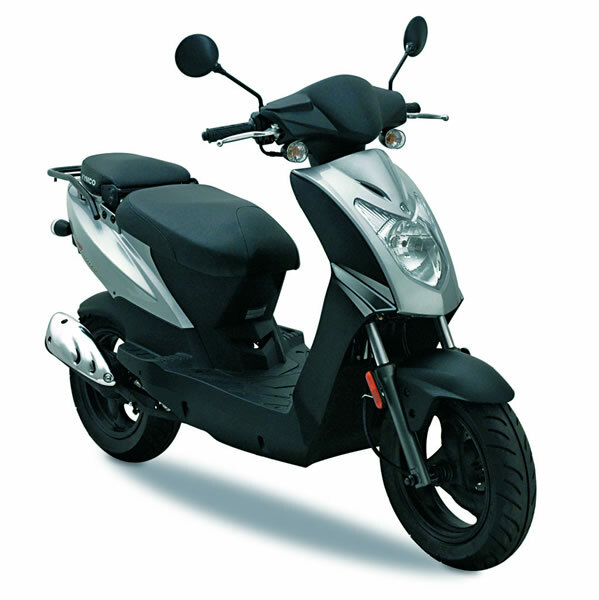 The definition of a moped (AM) is any vehicle up to 350kg, restricted to 45kmph (28mph). This category allows you to ride mopeds with a passenger, and to ride without L-Plates. In order to take this test you will need to complete a CBT, a motorcycle theory test, and a practical moped test. Please note that all the license categories are available with automatic entitlement. This option is very popular with scooter riders, who often only ever intend to ride automatic scooters. The restriction will be shown on your license after you have taken your test. The four day course is designed for those riders who already have considerable riding experience on a manual bike. If you have been riding on a CBT for a good length of time, you have held a full license in the past, or you have taken part in a lot of off-road geared-bike riding, this is the option for you. This option is designed for those riders who have a little riding experience on geared bikes. If you have recently completed a CBT or you have had a small amount of successful off-road experience, this may be the best option for you. The 6-day option is for our least experienced riders. If you have little or no experience on a manual motorcycle than choose this course. This step-by-step course will start on a 125, and progress onto bigger bikes where relevant. Why choose Arro Rider Training for your course? Arro Rider Training has been conducting training course for full tests for over 20 years, our high standard of teaching has ensured a continually high pass rate. We will teach you to ride a motorcycle, not just to pass your test. Unlike other schools, with Arro you will learn how to look at any given situation and decide how best to deal with it, rather than riding uniformly and dealing with every junction and hazard in the same way. Have a look at our feeback at www.facebook.com/adtmotorcycletraining to see the kind of reactions our customers have. We aim to train you to ride to a standard far higher than is required by the current tests. There are no hidden charges, we will not charge you an insurance excess if you have any problems. We will not charge extra for petrol or for bike hire. Please contact us if you have any questions, or if you would like to book. Thanks for choosing Arro Rider Training for your Direct Access and CBT training.